I love ‘The Walking Dead’! I’ve always had an obsession interest in zombies. Five years ago I even wrote about the ‘10 Signs You’re Turning Into a Zombie‘. I also love Pic Monkey to do my photo editing… and they have a Zombie editing tool right now and I am zombifying photos left and right. So here are a few of the ones I did. C’mon the powers that be… make me a zombie on The Walking Dead! I think we should be on The Walking Dead. Don’t you? WHOA you guys really do look like zombies! LOL! I’m seeing these done all over the internet, but these are BY FAR the CREEPIEST!! Good job! Hahah love all the Zombie looks!!! Scary but really fun!! I think I need to go create my own Zombie look :-)! Those are scary! Whew! You all would really scare me. I love PicMonkey! Best web photo editor and the Halloween ones are great. Your pics came out so spooky. Those are so creepy! LOL My husband LOVES Walking Dead. I watched the first season with him but then just got too busy to keep up. I love Pic Monkey too – you guys make great zombies! Cute!! lol what a fun way to dress up photos for halloween! You all look amazing that’s for sure. Definitely look ready for Halloween events for sure! Love Cody’s new look 🙂 We have that Zombie obsession here too. My 5 yr old has it hard. Definitely a transformation of your usually beautiful visage, LOL. Creepy! Those costumes are so cool! Actually frightening. If you showed up at my door like that it would give me a scare! Wouldn’t it be an amazing experience to get to be a Walking Dead zombie extra? I would love it! So fun! I am obsessed with The Walking Dead now as well, after watching all three seasons in a very short time over the summer! I can’t wait to see what happens this season!! Those are to fun! I love that show! You guys look creepy as all heck. Those effects are darn effective. 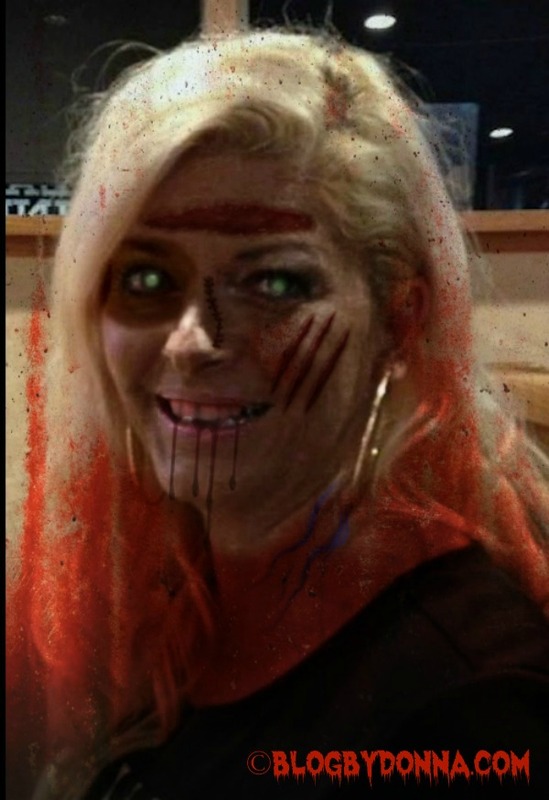 I need to go zombify myself! Too fun! How fun! I just went over &made one of myself but it doesn’t look nearly as good as yours. I never got into the Walking Dead…looks like I’m missing out. You and your son look scary! I love Pic Monkey…didn’t know they had this. Just might zombify some pics myself :). Thanks for sharing! Yes, go do it! I had to stop, because I was getting crazy with it. LOL! I haven’t gotten into Zombies yet. I guess I need to watch the walking dead and check it out. I think you all would make awesome zombies! These are great! I’m going to have to give this a try. CREEEEEEEEEPY!!!!! I’d do this but I know it would freak my kiddos out! Wow, you all make some great zombies. Super creepy indeed! Very creepy! Looks like you are hungry for brains. I know it is so fun! I’ve never seen The Walking Dead though I know lot of people talk about it. Those effects are amazing and I LOVE how they turned out! Super scary! I have to admit, these kind of creep me out! lol I guess there is no such thing as cute and friendly zombies! omg you fit right in! Those are creepy! Hubby keeps trying to get me to watch the latest season of walking dead but it totally gives me nightmares. These are great, you all look fantastic and could definitely fit in on the Walking Dead. That is awesome!!! I love this show. Fun! 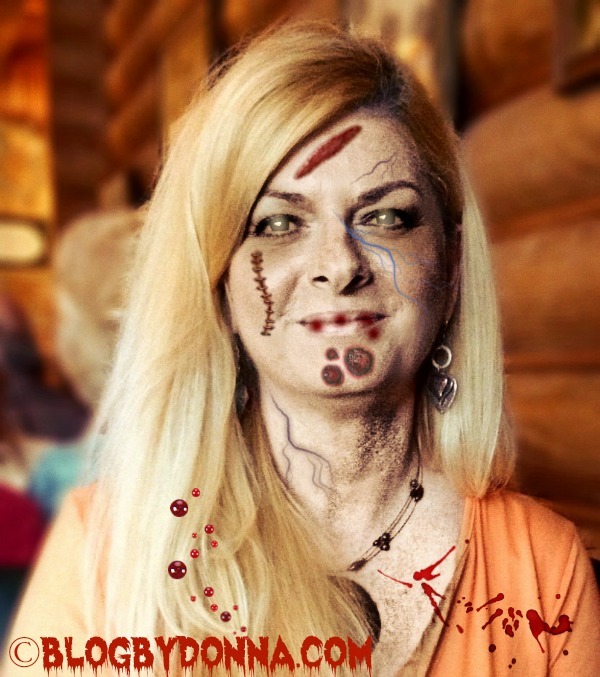 I can’t bring myself to zombify my family lol too creepy! 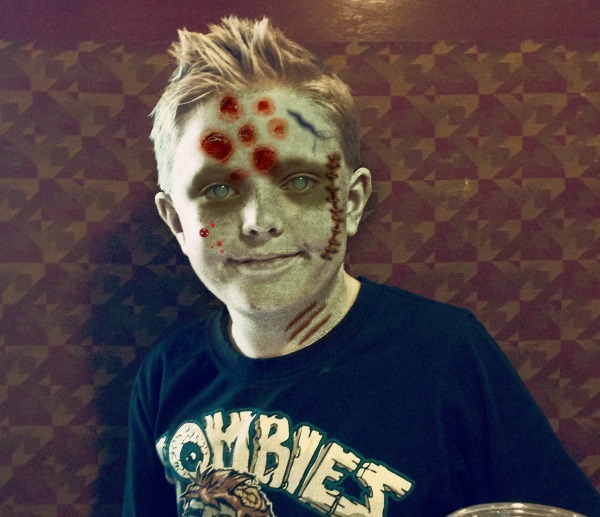 My son (takes after me, evidently) was the one who asked me to zombify one of his photots. LOL! My husband, sister and brother-in-law love Walking Dead. On the other hand, I’m not a huge zombie fan. Fantastic make-up skills. SO SO creepy and scary. Perfect! These are so fun. 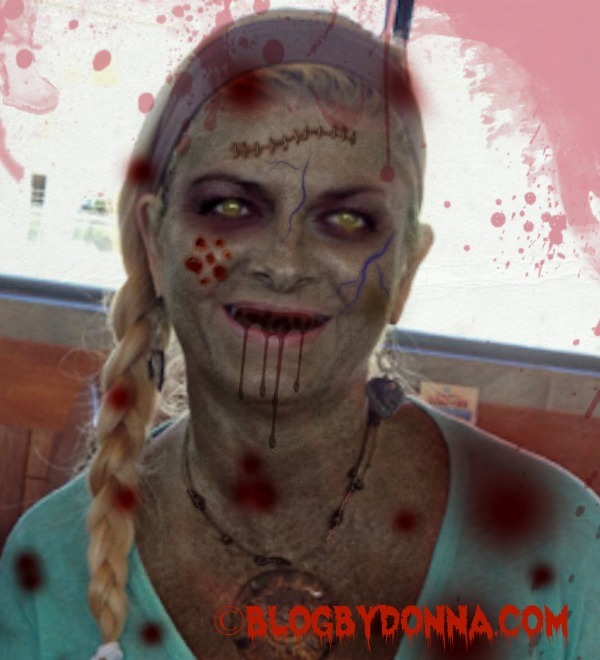 I did some of these with the widget on Facebook from The Walking Dead/Zombify Yourself.